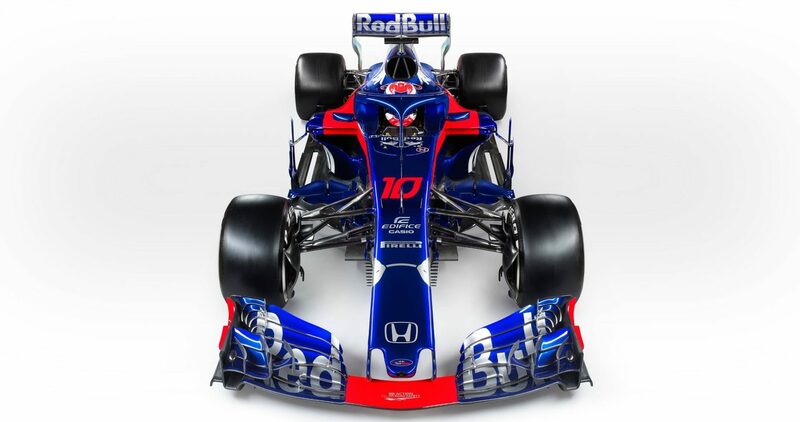 Honda and its new partner, Scuderia Toro Rosso, unveiled their new Formula 1 car, the STR13, fitted with the Honda RA618H power unit, at the Barcelona Catalunya Circuit. Following the reveal of the new car that Pierre Gasly and Brendon Hartley will drive in this year’s FIA* Formula 1 World Championship, Red Bull Toro Rosso Honda now joins the other nine F1 teams for eight days of pre-season testing at the Barcelona circuit, prior to the first Grand Prix of the season, which takes place in Melbourne, Australia on March 25. Katsuhide Moriyama, Chief Officer for Brand and Communication Operations, Honda Motor Co., Ltd.